When you arrive at Funky Pots, you will choose an item to paint from our full range of bisque ware that includes figurines, pottery animals, trinket boxes, money banks, decorations, and other contemporary items. We also stock a wide range of mugs, plates, bowls, vases, and teapots for you to decorate and use in your day to day life, giving your household a personal touch. Our prices range from around £2 to £30 all inclusive, so there are no hidden charges. We also serve light refreshments. Once you have selected your item from our range, you will be seated at a table by one of our friendly staff. One of the Funky Crew will make sure that you are happy with your selection and guide you through the creative process. At this stage your pottery is unpainted and unglazed, waiting for your personal touch. You can choose any number of colours from our range of special non-toxic pottery paints to decorate your item. Then relax, get creative, and have fun! Paint your own personal design to make your item truly unique, and remember that our experienced staff are never far away should you want any help with the artistic process. Once you are happy with your masterpiece, you will leave it in the care of Funky Pots. Our artist in residence will then glaze and fire your item, and it will look stunning. This magical process takes about a week, after which it will be ready for you to collect. 2 year old Rio had a great time at Funky Pots! 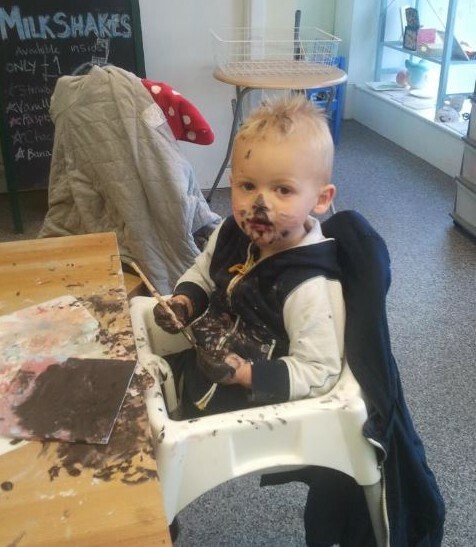 Kids love pottery painting, and we love it when our customers have fun at Funky Pots. We would like to reassure parents that all our paints are non-toxic and wash out of clothes without a problem. Our staff also clean up the studio after your visit, so please don’t worry about accidentally spilling any paint while you discover the artist inside yourself. 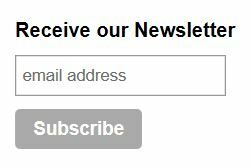 Are there any Christmas vouchers left? Hi Bronnia! Please take a look at our birthday parties page on our website – https://funkypots.wordpress.com/what-we-offer/birthday-parties/pottery-painting-parties/ and feel free to give us a call on 01159811639. Hi Charlotte – you can view our opening hours on our Contact details page – https://funkypots.wordpress.com/contact-us/ or if you are in any doubt, please don’t hesitate to give us a call on 01159811639. Hi Hollie! That sounds like a wonderful idea. Our plates are priced from £11 (includes glazing and firing). If you’re thinking of visiting us on a weekend, please remember that you can save yourselves a table by calling ahead on 01159811639.